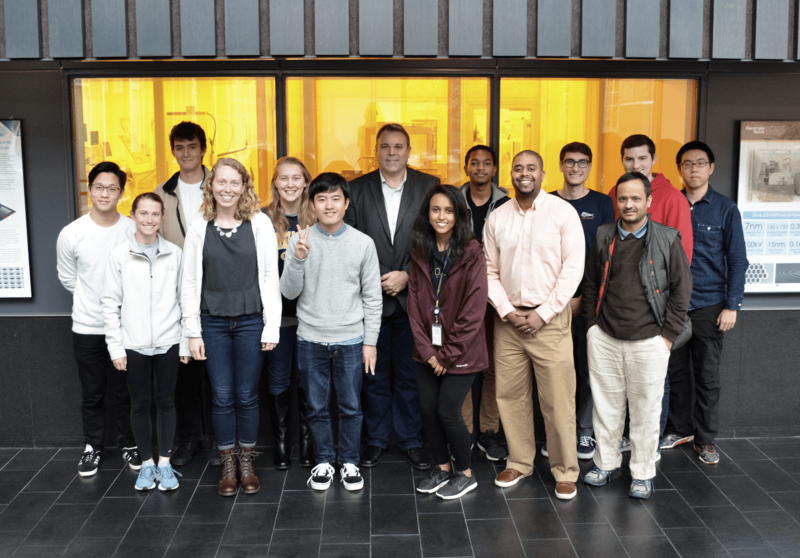 The Vogel research group pursues broad-based, cross-disciplinary research that spans the development and fundamental understanding of electronic materials, devices, and circuits. (Left) Typical two-terminal memristor (Side-view) and (right) its switching behaviors (formation and breaking of conductive filament in the active layer). 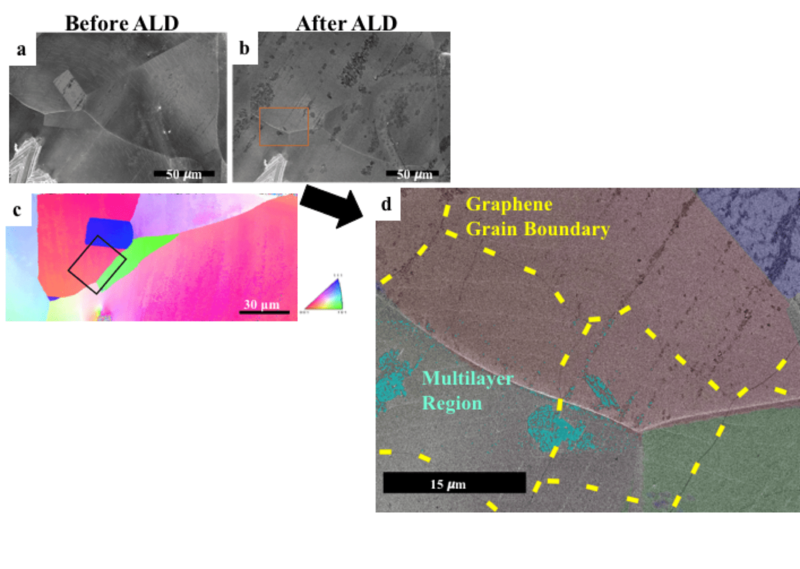 Mapping of graphene grain boundaries with ALD and EBSD. 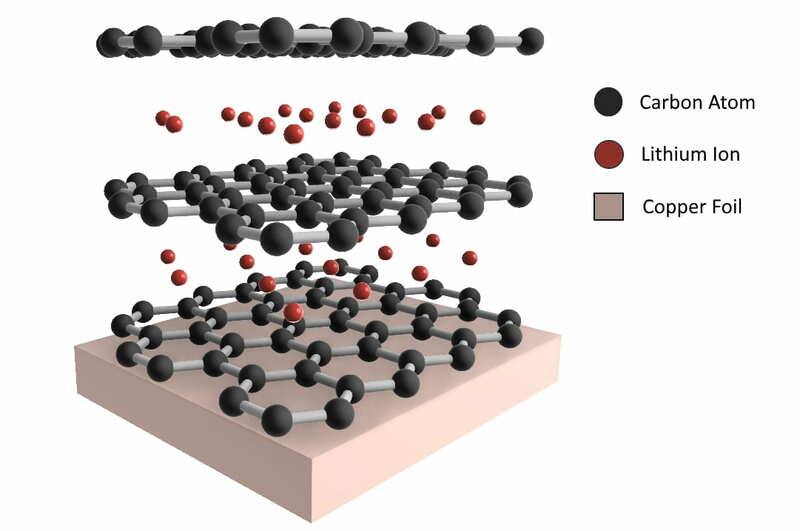 Multilayer, binder-free graphene anodes for lithium ion batteries. The scheme and the optical image of the integrated FET/EIS biosensor system. (a) The experimental setup of the integrated system. (b) The equivalent circuit model for the impedance spectroscopy. (c) and (d) The optical images of the biosensor chip and the enlarged view of the Au micro-strip working electrode. (a) Schematic of the ITFET device structure. (b) Band alignment of the ITFET in the “OFF” state. (c) Band alignment in the “ON” state of the ITFET. (a) Schematic of the potentiometric sensing device. (b) A typical transistor transfer curve showing that the drain current Id can be modulated by sweeping the voltage at the reference electrode. 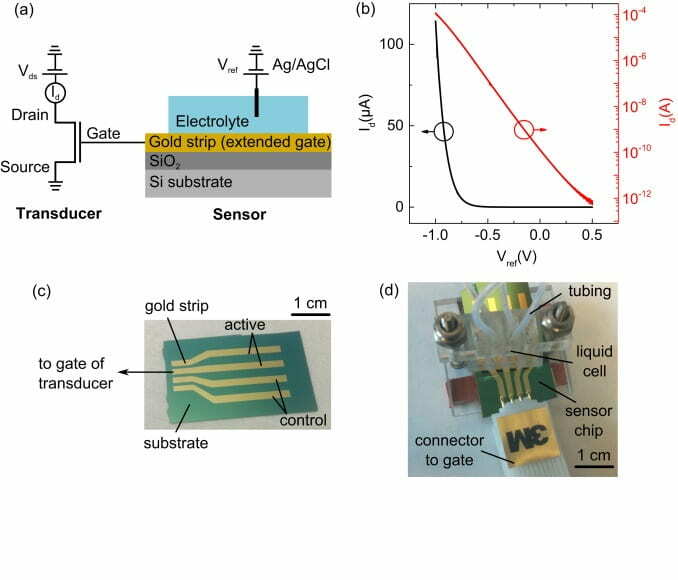 (c) Image of a disposable sensing chip used in this study. (d) Sensing test setup. 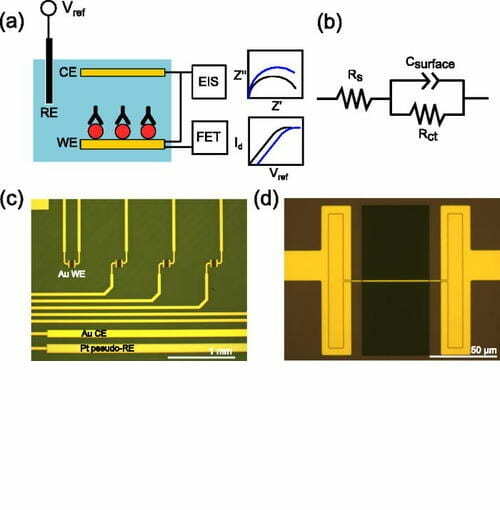 Tunneling devices based on vertical heterostructures of graphene and other 2D materials can overcome the low on–off ratios typically observed in planar graphene field-effect transistors. Historically, integrated electronics has focused primarily on scaling the dimension of silicon-based devices. Until recently, very little has changed in the materials and design of these silicon devices. Alternative materials and device structures are now required to continue device scaling. Furthermore, as silicon technology approaches its limits, entirely new materials (e.g. graphene) and computational paradigms (e.g. neuro-inspired) will be critical to continuing the acceleration of the rate of technical change. Although increasing computational speed will likely continue for the foreseeable future, new paradigms are becoming as or more important. The concept of functional electronic materials where new functionality (e.g. chemical or biological sensing) is performed on a silicon platform is an increasingly important paradigm. One theme that pervades these seemingly disparate emerging technologies is that the electronic properties of the devices are extremely sensitive to the structural and physical properties of their constituent materials. Our group pursues broad-based, cross-disciplinary research that spans the development and fundamental understanding of electronic materials and devices.